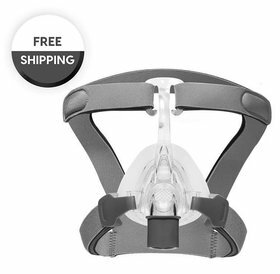 The replacement cushion is designed for 3B Rio II Nasal CPAP masks. This includes the cushion only and does not include the mask or any other parts. Select between small, medium or large. 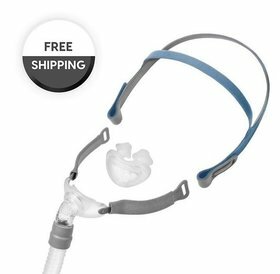 The replacement cushion is designed for the 3B Medical Rio II Nasal CPAP mask. This includes the cushion only and does not include the mask or any other parts. Select between small, medium or large. Designed to replace the cushions on the 3B Medical Rio II Nasal CPAP mask. Your CPAP nasal pillow cushions are to be replaced every 14 days because they are in constant contact with your face and nasal cushions sit inside your nose throughout the night. Regular replacement is recommended for hygienic purposes and to ensure the best fit. At our prices, properly maintaining your CPAP has never been so affordable. FitPack mask can interchange the small, medium or large if you've determined you need a larger or smaller replacement cushion.